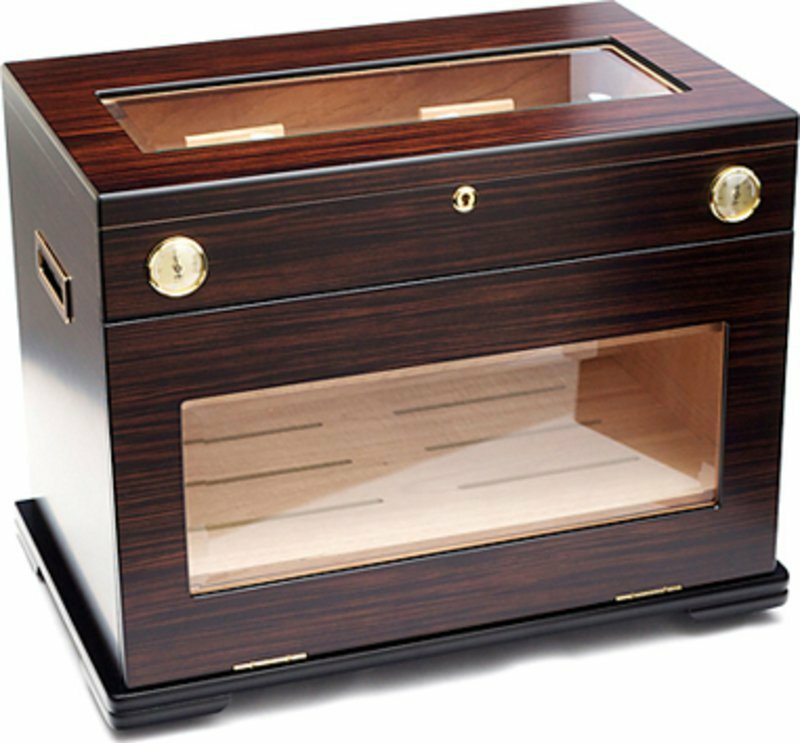 2 gold plated acryl polymer based adorini deluxe humidifier with adjustable ventilation openings for an optimum regulation of the humidity level. Innovative tray design ('Airvent') to allow maximum air circulation and compatibility with new generation electronic humidifiers. 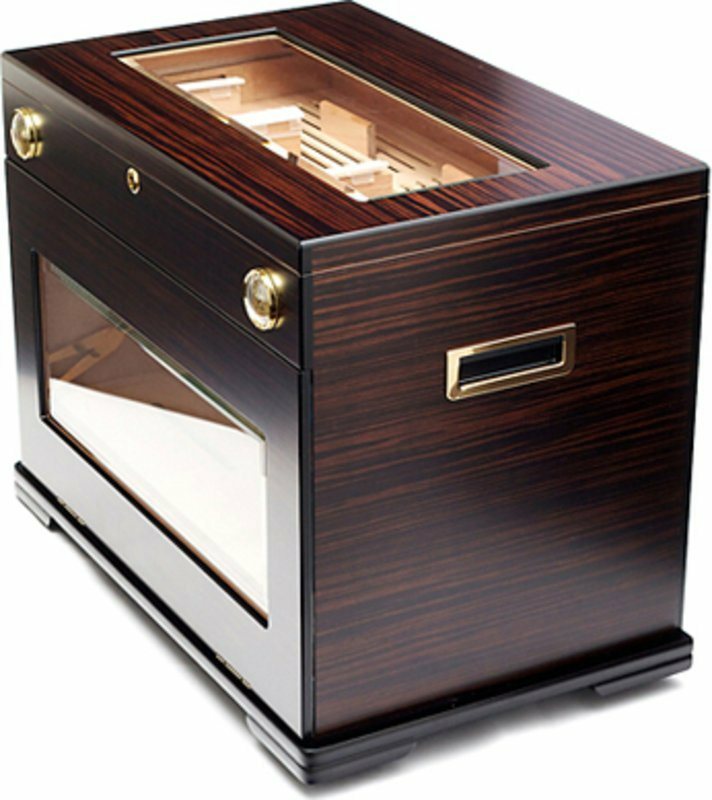 Included in all humidors from size L. Protected Adorini innovation. Great Humidor, it came well packaged, took a little longer to season about 3 weeks but holds humidity and temperature really well. I am using Boveda packs to regulate the humidity. I already own 2 smaller Adorini humidifiers but wanted something bigger to accommodate my ever increasing Cuban collection. 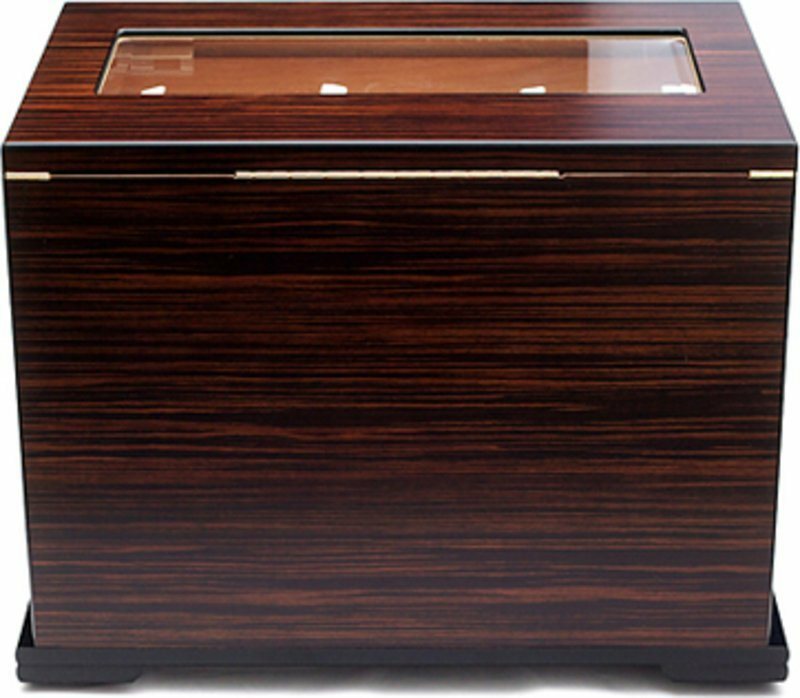 The Aficionado unit was delivered very quickly from HD at a great price. Unfortunately, the top drawer was damaged but HD customer service arranged a replacement to be shipped immediately without any fuss. 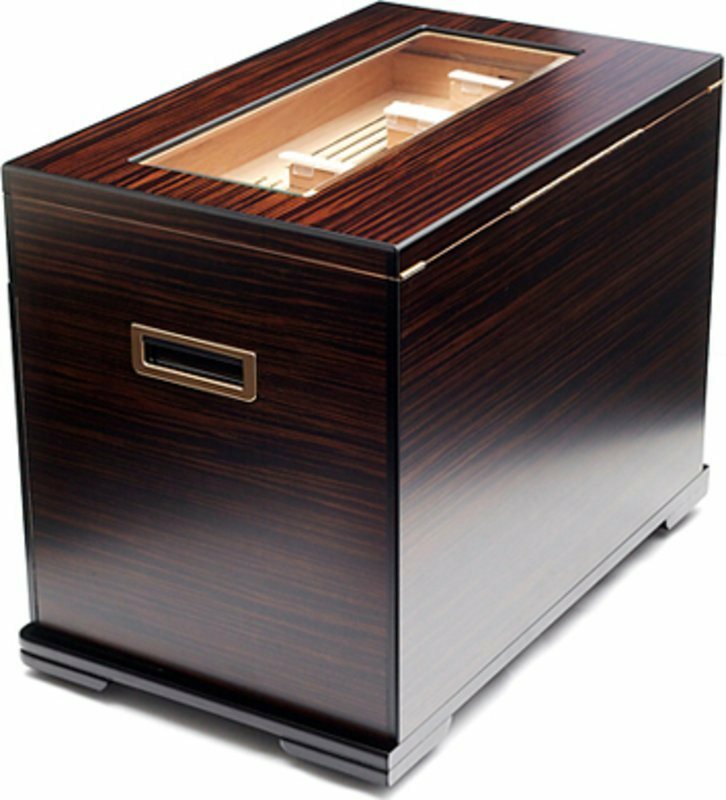 The humidor, in conjunction with the humidifier Cigar Heaven, is a fantastic piece of furniture for keeping your Cubans in tip top condition. Highly recommended with first class customer service. satisfied but shame the gold lever on the right side when removing the plastic protection even as the plated portion erafnam also hydrometer disheveled, but this was quickly rectified. The lock works, but very stiff. 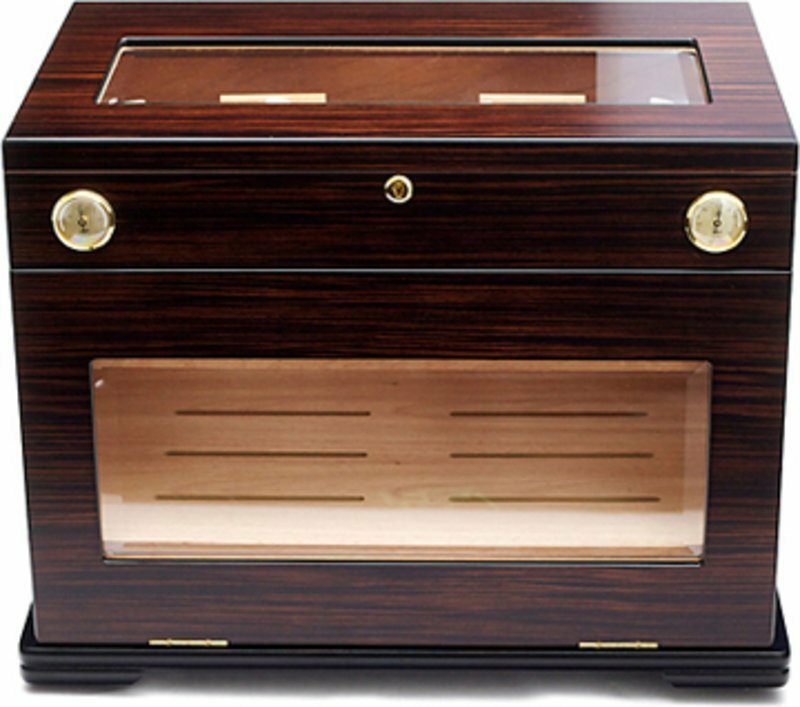 Well made and perfect for storing cigars. I think the stated capcity of 400 is optimistic but it will store 300-350 in perfect condition. 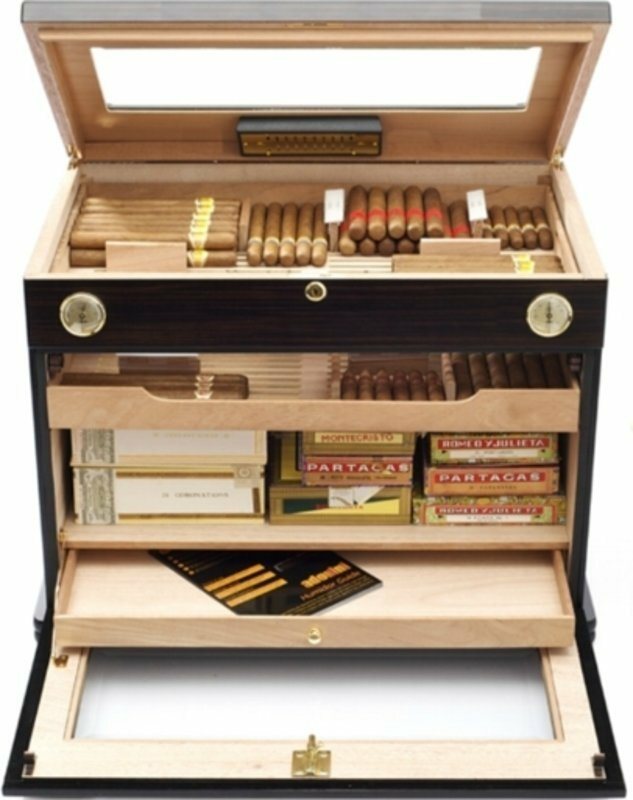 Fantastic purchase, beautifully finished and perfect for loose cigars boxes as well. Neatly and quickly delivered.